Nova construção, 2 casas familiares. Localizado na tranquila seção de extremidade norte de Seaside Heights, um pouco mais de 2 quarteirões da praia / calçadão. Esta unidade superior tem plano aberto com varanda fora da sala de estar, cozinha com ilha e todos os novos aparelhos, 3 quartos e 2 banheiros. TV na sala e quarto principal com WiFi e cabo. Ar condicionado central com ventiladores localizados na sala de jantar e quarto principal. 6 emblemas de praia, estacionamento na rua para 1 carro. Quintal com churrasqueira e chuveiro ao ar livre. 2 camas são camas duplas. Apenas famílias Não há grupos. The house was clean, bright with lots of windows, and at an excellent location! Cherie and Dom were very easy to work with. 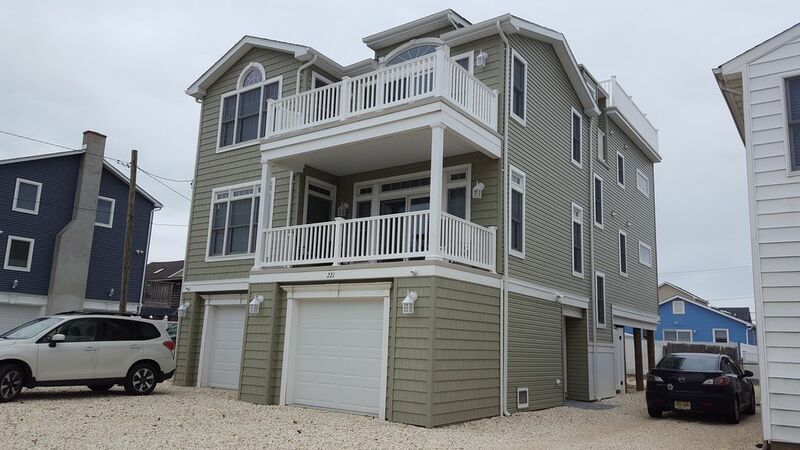 The property is new since Sandy, and was a very pleasant and comfortable place to stay. I would definitely go back! Owners very accommodating! Beautiful beach house! The place was beautiful, Cherie and her husband were extremely prompt with anything we needed! I would highly recommend to anyone staying here, and we will definitely return in the future. Thank you Cherie! Beautiful place! Great location! Really nice landlords! Walking distance to the boardwalk but far enough so its quiet! Lots to do around you. Priced very well. Loved the balcony!